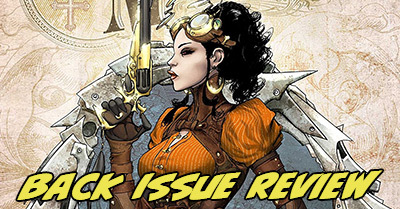 This week I read very little Marvel and DC, instead focusing on a ton of indie comics series that are easy to pick up with no prior comics background. As it turns out, a pair of the most-popular series fell a bit flat with me, while a few more obscure titles totally blew me away. I even found a new favorite comic book to add to my pull list! 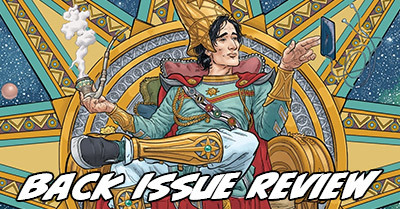 I’ll tell you now that Maestros and Victor LaValle’s Destroyer are two of the best comics I’ve read from 2017 – they both totally blew me away! Please let me know if you like this this post – I’m still experimenting with this new weekly series, but there’s no guarantee it will be back for more with you reading it. Before Saga and Ex Machina (and early in Y: The Last Man), Brian K. Vaughan’s Runaways was a blast of pure, bright imagination (still with sinister undertones) in 2003, as Marvel was succeeding with imaginative reboots and Mature Readers updates. The initial, self-contained run about a group of teens thrust together as they flee a deadly secret is a perfect book to introduce new fans to reading comics. Runaways by Brian K. Vaughan is the #44 Most-Wanted Marvel Omnibus of 2017 on Tigereyes’s Secret Ballot. 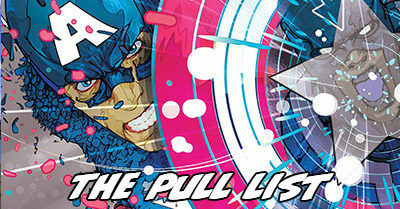 Visit the Marvel Masterworks Message Board to view the original posting of results by Tigereyes. 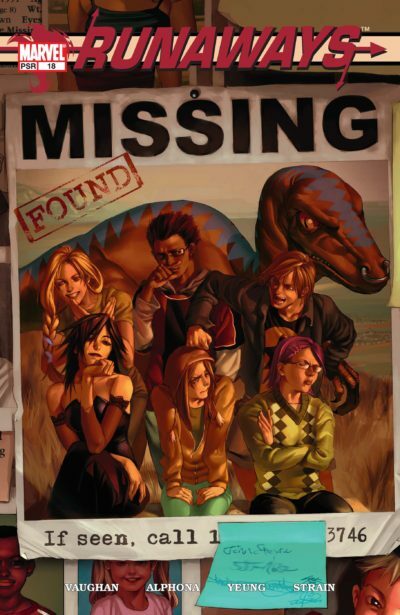 And, check out the Guide to the Runaways to track down every single issue. Probable Contents: Collects Runaways (2003) #1-18 & Runways (2005) #1-24. A second volume would be “Runaways by Joss Whedon, Terry Moore, & Kathryn Immonen” – check out 12 Must-Read Marvel Runs (that ought to be an omnibus) – 1998 to 2008 to see my predicted contents. Creators: Writer Brian K. Vaughan and penciller Adrian Alphona created the team, with Alphona alternating art duties with Takeshi Miyazawa (宮沢武史) with inkers David Newbold and Craig S. Yeung. Both pencillers are initially colored by Brian Reber, with Christina Strain taking over from issue #8 and remaining with the team across all of their runs. 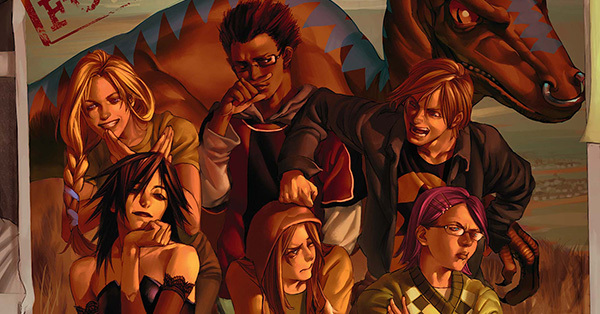 Runaways might be Marvel’s most thoroughly-reprinted series of the modern era outside of Grant Morrison’s New X-Men! You can get it in original hardcovers and paperbacks, oversize hardcover, pocket-sized digests, and hefty Complete Collection paperbacks – all as described in the Guide to the Runaways to track down every single issue. It’s also available in full on Marvel Unlimited! Runaways is about a group of unwitting teen heroes finding their powers and themselves amidst an unravelling mystery about their families.